We had a fantastic time down at the ExCel for Hotelympia last week, it was great to speak to so many hospitality and foodservice professionals and show them exactly what we can do. Here at Proline, we are proud of to be one of the UK’s leading manufacturer of bespoke counters and our aim at Hotelympia was to share this with as many people as we could. Our time at Hotelympia was spent exhibiting a mix old and new styles, from recycled door frontage and mild steel gantries to a refrigeration system that comprised a R290 water cooled hydrocarbon compressor chilling a high capacity multi-tier and a concealed contact cooled frost top under a Dekton worktop. The high-end finishes including Dekton, brass, a new range of concrete Corian and Proline hanging heat lamps that come in varying colours. We were also proud to offer a free bottle of champagne to those who placed orders over £10,000 at the show. 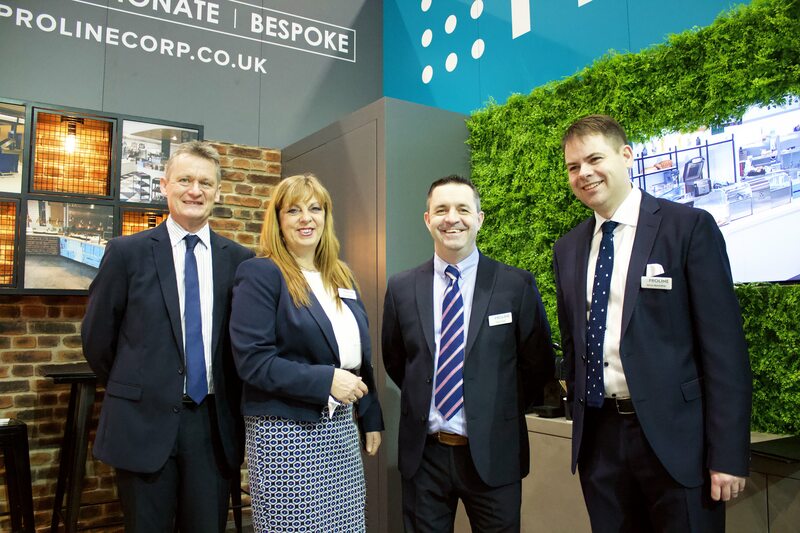 We would like to say a special thank you to JDS, Shine, Gratte Brothers and the Airedale Group who all placed their orders at Hotelympia and received bottles of fizz! Big thank you to all who came to visit us too, it was great to see so many old and new faces. If anyone has any questions please get in touch.